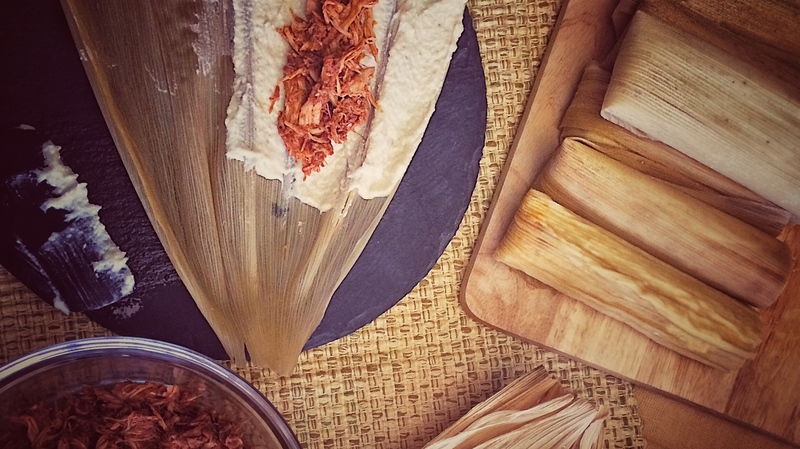 Are you intimidated by tamales? You’re not alone. Every time I make tamales, my friends are so impressed. These are people who are great cooks, so there’s no reason they should be intimidated by slow-cooked pork or making masa. No, what they’re worried about is the rolling — but there’s a secret they don’t know. Rolling tamales isn’t that tough. You’re not going to be as fast as those ladies in the YouTube videos you see, sure. But just like anything else, you just need the proper technique and a little practice. 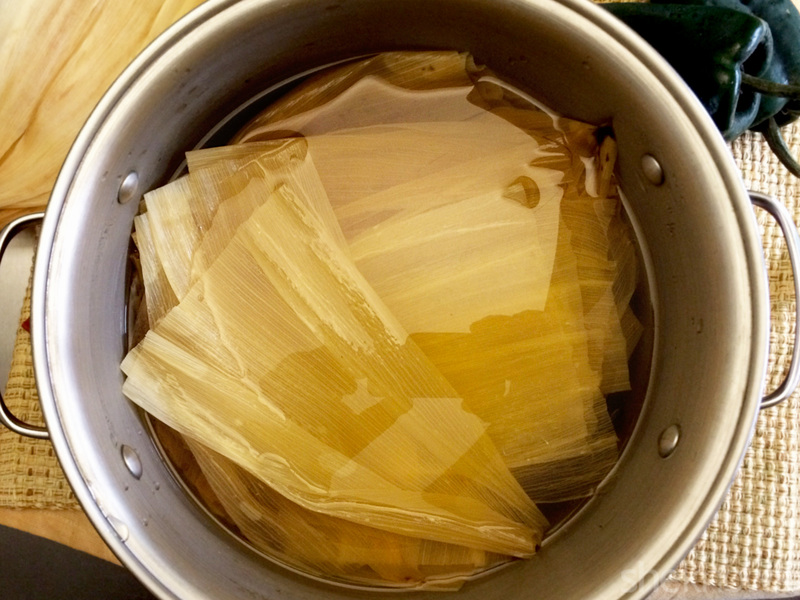 This is the easiest method I’ve found for rolling tamales. Once you’ve got the basics down, you can try more complicated methods if you want something different. 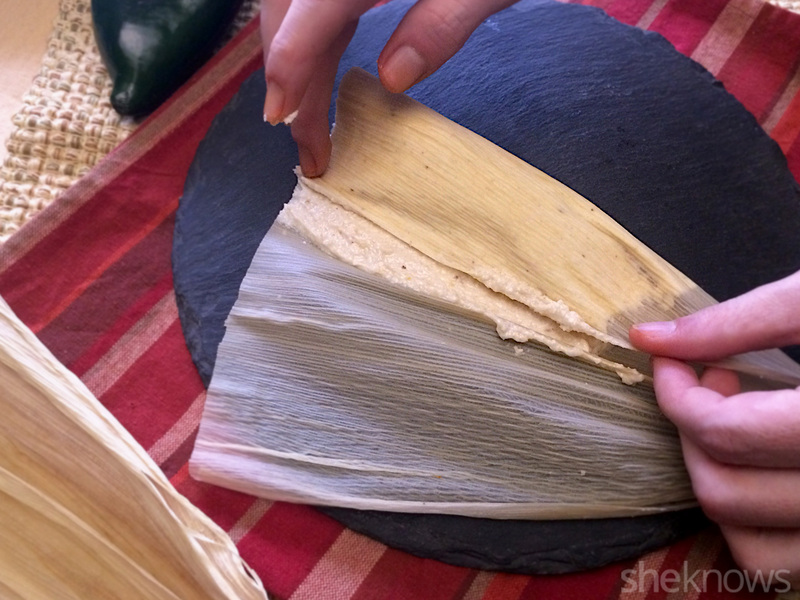 Corn husks, which may be labeled in Spanish as “hojas de maíz” in some grocery stores, are dried before sale and are obviously too brittle to roll anything as they come. To make them more supple, bring a large pot of water to a rolling boil, then remove it from the stove. Separate the corn husks, which are nestled tightly together in the packaging, before submerging them in the water using tongs. If necessary, you can use a plate to weigh them down. Let them soak for at least an hour, until they’re supple and easily folded. When they’re done, pull them out in batches as needed, and dry them well. First, you’ll need to determine which side is the inside. Corn husks are rough and ridged, but there’s always one side that’s a little softer and less ridged than the other. That’s the inside and needs to be facing up when you position the husk. Masa is the dough for the tamales. It’s usually the consistency of peanut butter (though not as sticky) and spreads very much like that. Use a spoon, knife or masa spreader to apply it to about two-thirds of the corn husk in the masa quadrant, spreading from just above the center of the masa quadrant and sweeping toward the end. Go all the way to the edges of the corner nearest you of the widest edge of the corn husk. Don’t worry about getting it on the cutting board. You can use your spreader to pick it back up when you’re done. Also don’t get caught up in making it perfectly square… just kinda squarish is good enough. You’ll want to spread the masa in an even layer. 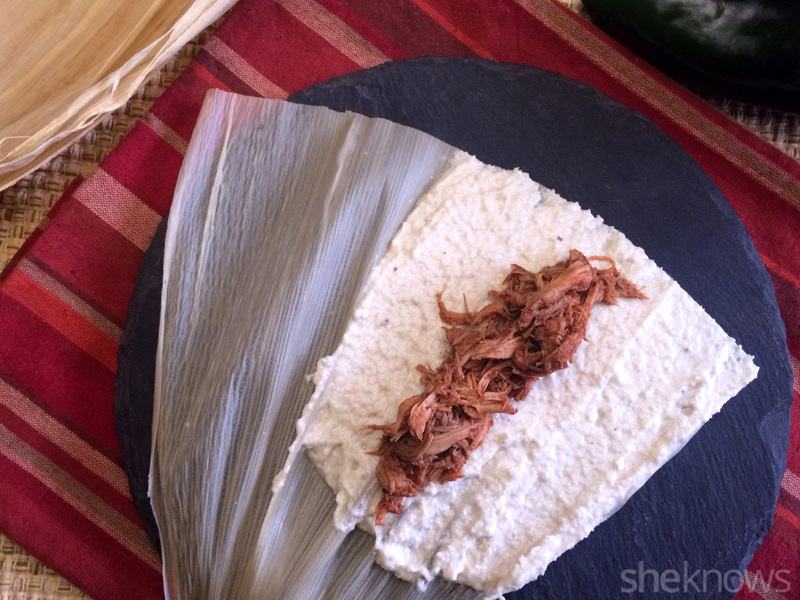 Most people prefer to use a fairly thin layer so the meat-to-masa ratio in the finished tamale is meatier, but if you like more masa, feel free to make it thicker. These are your tamales. Pay attention to how long the masa is on the edge facing you. You’ll want to try to shoot for that length each time, regardless of the size of your corn husk, so all your tamales have a uniform length. 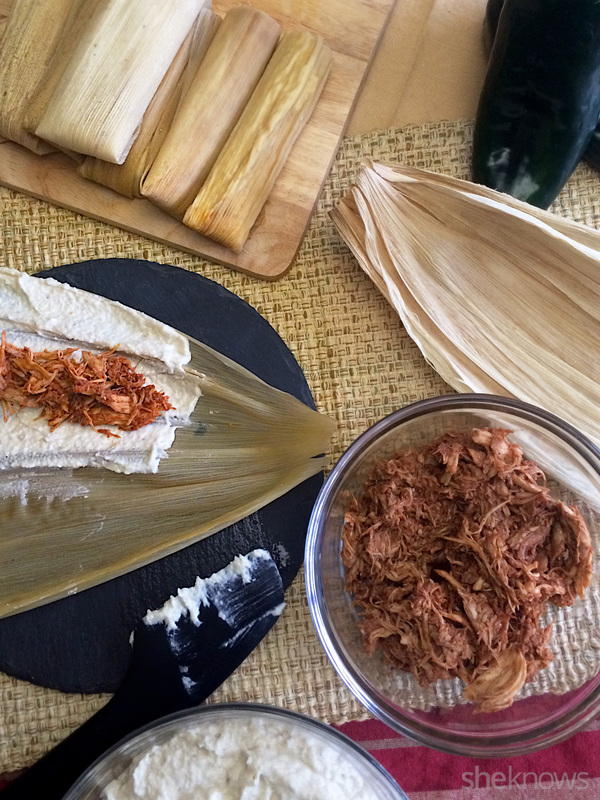 You can fill tamales with just about anything you like, but the method is the same no matter what you use. Just put a small line of the food parallel to the edge facing you, around the center of the masa. Use less filling than you think you need (around 2 tablespoons), or they’ll be tough to roll properly. 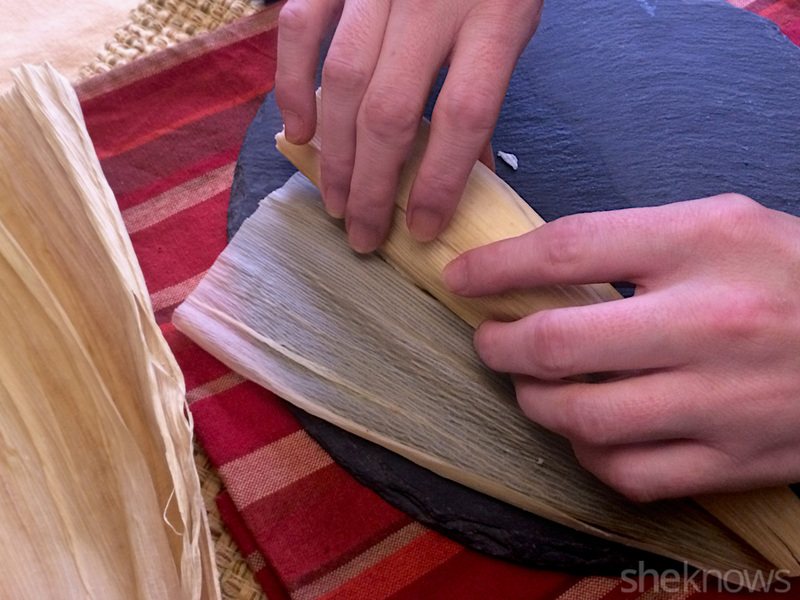 Spread your filling up to about a half inch to the edge so the masa on the end can help seal the tamale closed. Pick up the edge of the corn husk closest to you, and fold it over the filling until the edge of the masa closest to you touches the masa on the other side. This will help ensure it actually creates a fully enclosed tamale. Then finish rolling it up until you get to the other edge of the corn husk. Yes, that means there will be some of your masa touching the wrapper and nothing else. That’s OK. 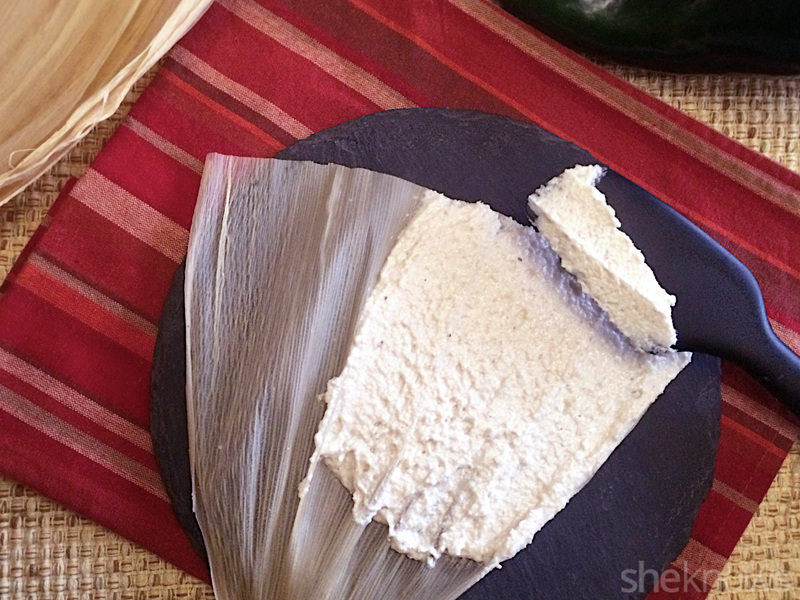 Some people actually like to scrape that off when they unroll the tamale for a little extra masa in their meal. Others discard it with the husk. Either way, it’s not going to hurt anything. 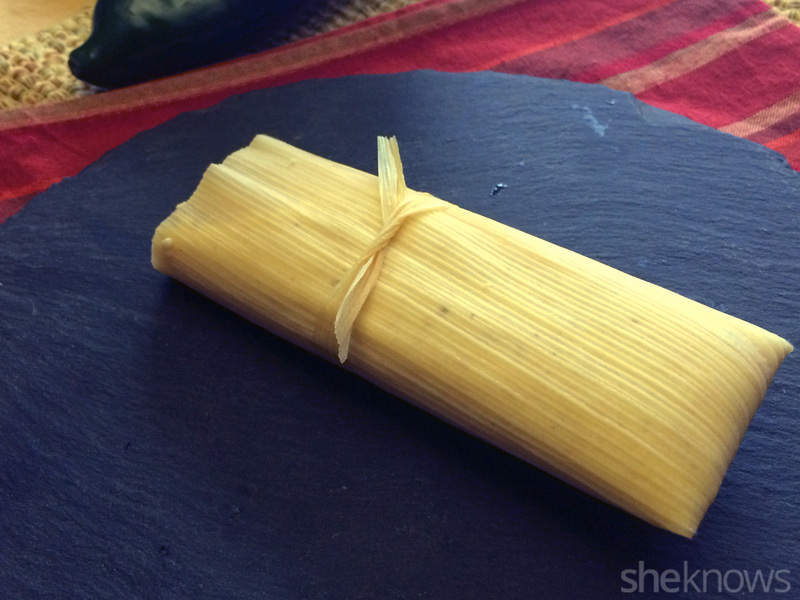 If your corn husk is too large, you can rip off the edge once you feel it’s wrapped securely. Once it’s rolled, pick up the tamale, find the pointed overhang you now have on one end, and squeeze straight across (gently so as not to squeeze the filling out the other end). 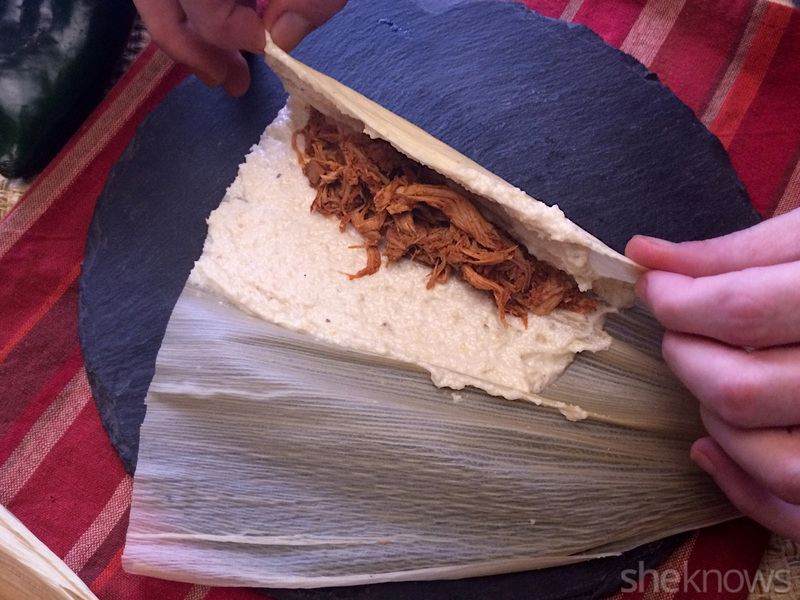 Fold it over the tamale toward the other end with the open flap. Set the tamale flap side down so it won’t pop back open. 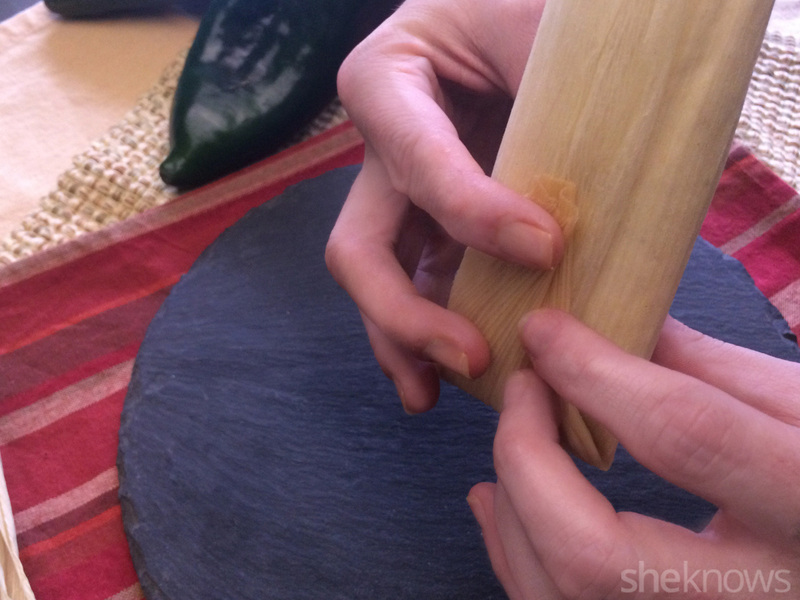 As you can see, rolling tamales doesn’t have to be hard. But it is time-consuming, especially as you work to get into your groove the first time. That’s why I recommend throwing a tamalada, a tamale wrapping party. Just invite all your pals over for the afternoon to roll, kick back a few beers and chitchat about life.